I was thinking to myself “Self, you know what I should post more of on the Hellcats blog? I should post more random sketches.” I was doing that for a while, but then sort of got away from it. Of course, i don’t know if anyone is really reading the blog, or if you are, do you want to see non-Hellcat related stuff here? Well, on the off chance that you do. 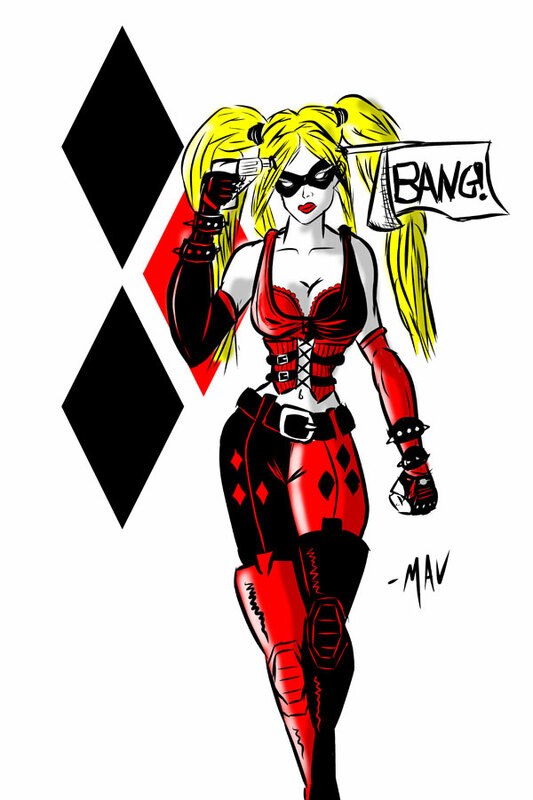 Here’s a digital sketch I did of Harley Quinn at my booth today at Pittsburgh Comicon. Really, Wacom should make me an official spokesman for the Cintiq Tablet. people like asking me about it more than they like talking to me about my book. Oh, and if any of the people who were talking to me about it today want to buy it, the tablet I was using was the Wacom Cintiq 12WX. At home, I also have the much larger Cintiq 24HD. And the software I was using was Manga Studio EX, and of course Adobe Photoshop CS5. And for those of you who want a cheaper alternative to Manga Studio EX, you can also get Manga Studio Debut. Anyway, since, unlike Max, I almost never draw on paper anymore, I’ve taken to bringing the smaller Cintiq Tablet to cons with me. 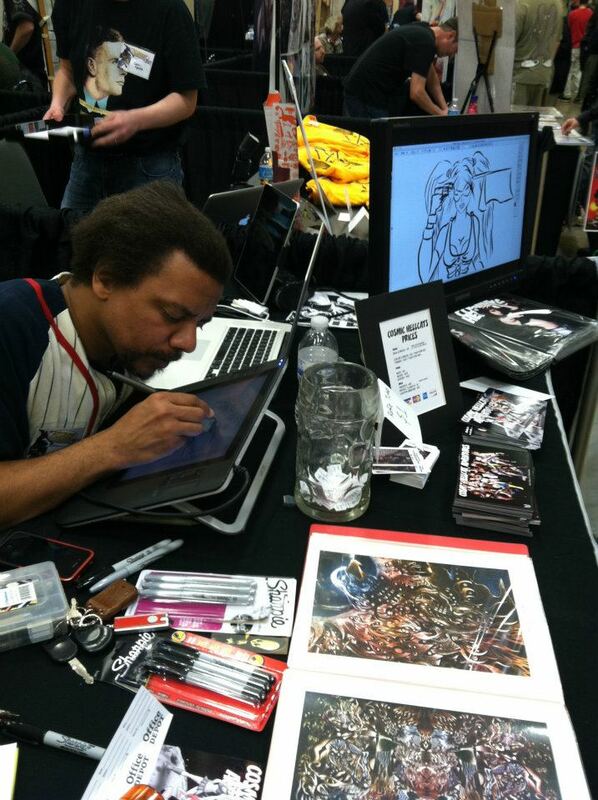 I also bring a computer monitor, which I face outward towards the crowd and mirror the Cintiq screen. This allows people to watch me while I draw and get an idea of my process. It seems to be a big hit. Hey Wacom, you listening? Trust me, I make a great spokesman. Send me to San Diego. I even come with my own booth babes!